The increasing importance of Mobile as a channel for reaching consumers has long been heralded. However, there is one statistic that brings this into stark focus – out of a global population of 7 billion people, 5 billion now own a connected device, 1.5 billion more than own a toothbrush. But how do brands get the most out of Mobile? How can it be used to create a differentiated campaign and deliver the resulting cut through? In an environment where consumers receive thousands of messages each day, how can Mobile get the right message through to the right people in a cost effective way? At Datum we have been busy working on some great propositions and innovations that are helping our clients get the very most from Mobile. This has led to us working closely with clients to develop and deliver the Augmented Reality elements of their campaigns. We have created optimised print adverts that guide the reader to hover their mobile device over an image. By viewing the image through the mobile device the consumer is presented with a full life animation that grabs their attention and ensures that messages are efficiently conveyed. This represents a big leap forward from traditional QR codes as the original print advert can be designed to be significantly more eye catching than a box of black and white blocks. This has led to clients achieving significantly higher data capture rates. One of our favourite third party products to work with right now is Google Cardboard. A cutting edge version of the View-Master toy of our childhoods, Google Cardboard provides a highly customisable platform for transporting your target consumers into an immersive environment made from little more than some clever cardboard design and their mobile device. Its cardboard construct keeps production costs down and it can be branded however the client requires. At Datum we have all the skills and experience to make sure you get the very most from your Mobile marketing. We can optimise the print design, undertake all the coding, produce your animations and videos, develop bespoke apps for you and even ensure that your website is optimised for browsing by mobile devices. It doesn’t end there. If you are planning an event, we can integrate Near Field Communication (NFC) cards onto printed assets such as brochures and business cards which allows visitors to utilise their mobile devices to register interest or request additional information. 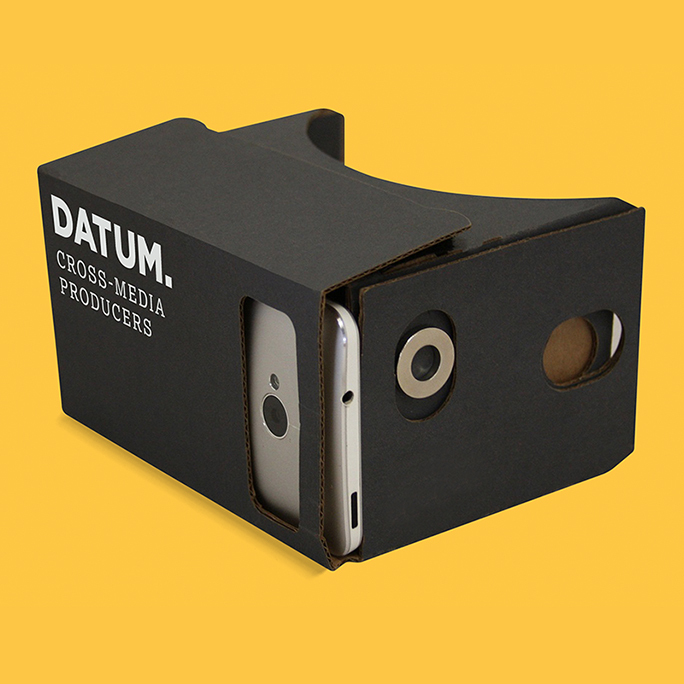 Being true cross-media producers, at Datum we are confident that we will have a solution for all your mobile marketing objectives. Whilst some of these may be ‘virtual’, experience has shown us that the positive impact on our clients’ businesses is very real.